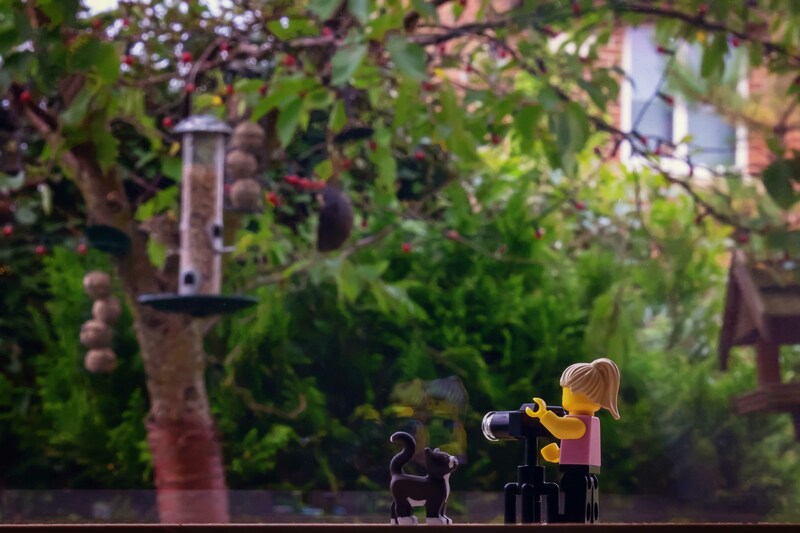 We took Skye to the vet today for investigations, while we were waiting for them to ring us to go and collect her, Frego tried her hand at bird photography, and wasn’t that successful. Our beautiful Skye~pie has an inoperable tumour. Posted in 366, Adventures, Fuji, fujiXT1, lego, photography, uncategorisedTagged 366, day288, fraggle, Fuji XT-1, lego, photography, Skye, The Adventures of Frego, WardleyBookmark the permalink. Oh I’m not sure I can handle such sad news after such a sweet photo. Big hugs. Sad to hear about your cat FR. We lost one a while ago, it was not a housecat, just my “studio cat”, but I really miss her. I hope the prognosis for your cat is better. Take care. Am afraid the prognosis is quite poor, will be going through it soon enough. Sorry to hear that. All the best to you, I can imagine this takes a toll on your spirit. Hang in there. Cute photo, really sorry to hear about Skye. I am loving this lego series Fraggle. Such a sad contrast, the lovely photo with the news about Skye. I shall think of this Frego shot as her tribute. Oh no! Such terrible news. We’ll keep you all in our thoughts. Thank you, she’s doing ok at the minute, we are not sure long that will last. I’m sure you will make her comfortable and do what you can for her. If only all animals were so lucky. Oh no!!!! I’m reading your blog backwards if you see my comment on your next post before this. I guess I always do that since I catch up on Mondays. Sending my love to you and Skye… I know how much you love her. May I also say that Skye is in my thoughts and prayers.